Finishing off the week, we have another international Olympian at the keyboard for 5 Questions with. But like yesterday, this tremendous athlete has large ties to the US distance running scene, as she just capped off a fruitful collegiate career and will now test her mettle in the professional ranks. 1. 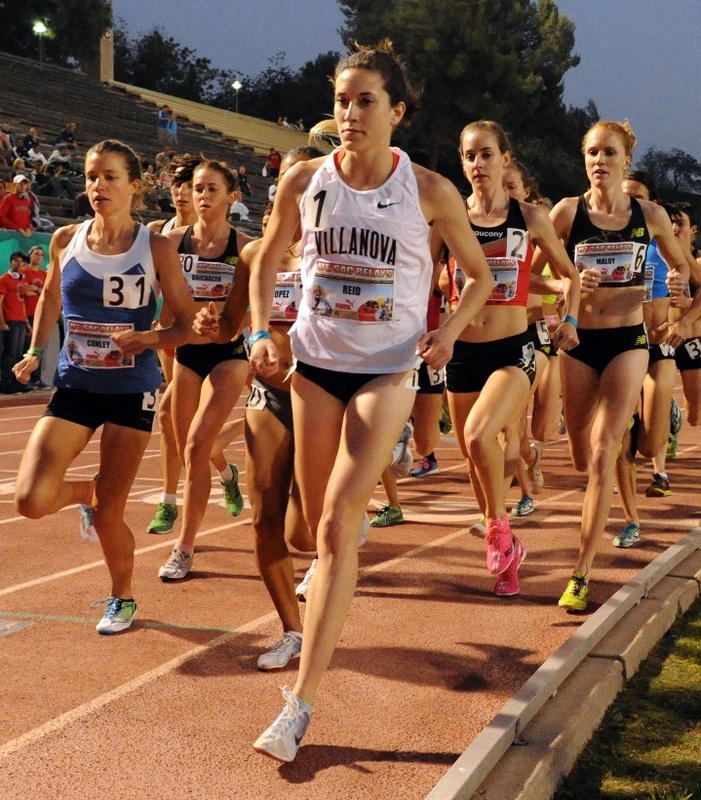 Writing About Running: First off, congrats on being selected to the Canadian Olympic Team for the 5000 meters. How excited were you to get the call at the final hour? Sheila Reid: I probably didn't sound very excited, as the first thing I said when I got the call was "Really?" I thought the appeal process was over and that I wouldn't be going to London, so I was confused. But when it was confirmed officially, I was ecstatic! I'm still smiling about it. 2. 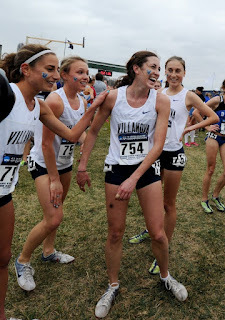 Writing About Running: You had an outstanding career at Villanova with Coach Gina Procaccio. What were a few moments that you took the most pride in and how did you choose Nova in the first place? Sheila Reid: The first cross country team championship will always have a special place in my heart. We didn't qualify for NCAA's when I was a freshman, but Gina saw the potential our team had and said we would be national champions by the time we were seniors. As it turned out, we won two before my class graduated. I chose Nova because of the great tradition. 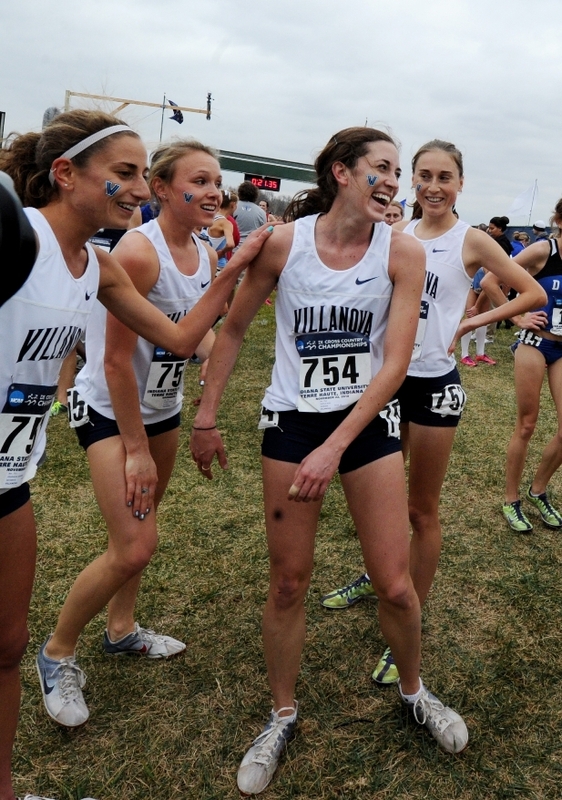 The program has a great track record when it comes to NCAA champions, and Olympians. 3. 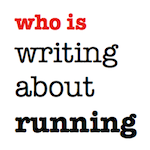 Writing About Running: You recently signed on with Ray Flynn to be your agent after graduating. What led you to select Flynn Sports and have you signed a shoe deal at this point? Sheila Reid: Flynn Sports is a really professional company with many successful athletes. After meeting Ray, it seemed like a good fit for me. I've yet to finalize a shoe contract. 4. Writing About Running: Between you and Cam Levins, Canada has had a lot of recent success at the collegiate level. How much does it mean to you to be one of the "future stars" and carry out that promise at the professional level for your country? Sheila Reid: I think that was one of the keys to my selection to the Olympic team. 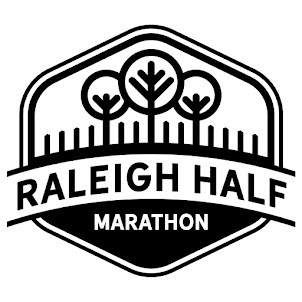 I have a lot of ground to cover in this transition from collegiate to professional running, and more world experience is the only way to do it. I am not the best in the world now, but I want to be at that level in 4 years, so I am excited to start that process in London! 5. 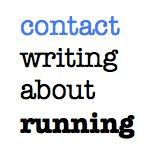 Writing About Running: The European racing season has begun and it sounds like you're already there and getting started. What are your plans before and after the Olympics? 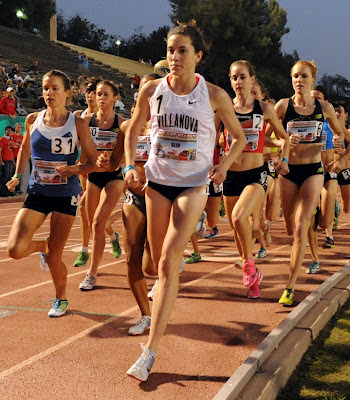 Sheila Reid: Before the Olympics, I will race a couple 1500m races in Belgium and Italy to tune up for the 5000m. I have not planned much beyond London, but I can confirm that I will be seeing Bruce Springsteen in concert at the end of August.